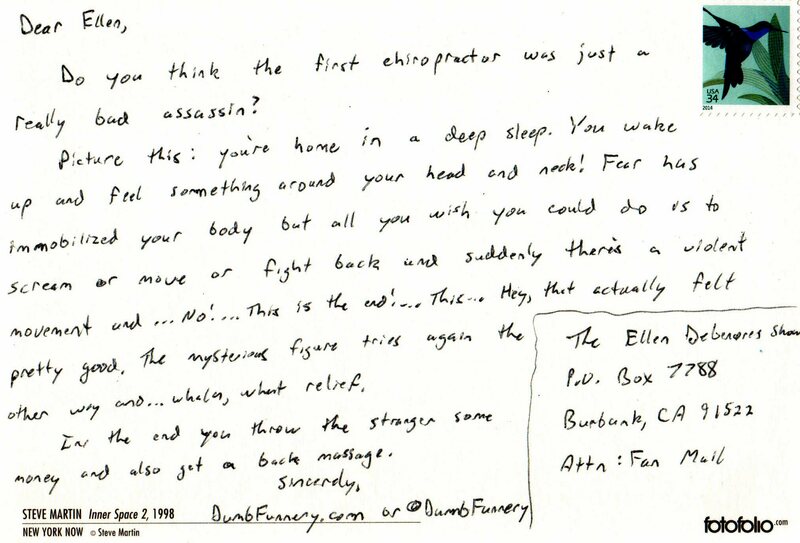 Do you think the first chiropractor was just a really bad assassin? Picture this: you’re home in a deep sleep. You wake up and feel something around your head and neck! Fear has immobilized your body but all you wish you could do is to scream or move or fight back and suddenly there’s a violent movement and … No! … This is the end! … This … Hey, that actually felt pretty good. The mysterious figure tries again the other way and … whala, what relief. In the end you throw the stranger some money and also get a back massage.